It may not come as a surprise to you, my readers, that as a creative I find artistry in all forms exquisite, beautiful and profoundly important to society. To be a patron of the arts, even in the simplest of forms, such as a country art festival, is something I always jump at the chance to be a part of and hope to encourage you all to do as well. This October, from Saturday 17th to Sunday 18th, the Australian Body Art Festival is returning for another year of exploration of the craft. Body art isn’t something you see a lot of, but when you do it always takes your breath away. The creativity of these masters is astounding, as they are able to transform something so everyday and human as our own body form into something entirely different and sometimes even a little alien. The Australian Body Art Festival, formerly the Australian Body Art Carnivale, is first and foremost a celebration of the passionate body art industry. It exists as a platform through which the creative folk within our worldwide community can come together in beautiful surrounds and immerse themselves in collective creativity. Eumundi is the stage upon which this creativity is displayed. 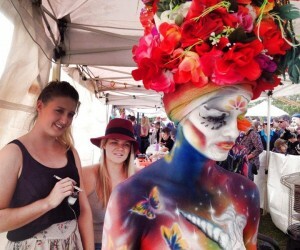 Hidden deep within the Sunshine Coast Hinterland is this picturesque little town, transformed into body art central for one special weekend a year. In 2015, the event will be managed and operated by the Original Eumundi Markets (OEM) – Australia’s premier artisan markets. 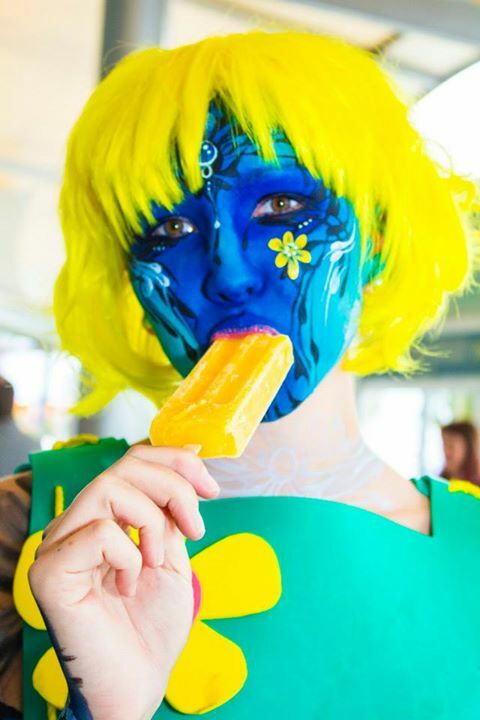 OEM is committed to ensuring the ongoing success of the Australian Body Art Festival by working to grow it into both a nationally and internationally recognized event, drawing visitors from across the globe. The OEM has enlisted the help and support of creative events agency poplculture in the management of the 2015 festival. 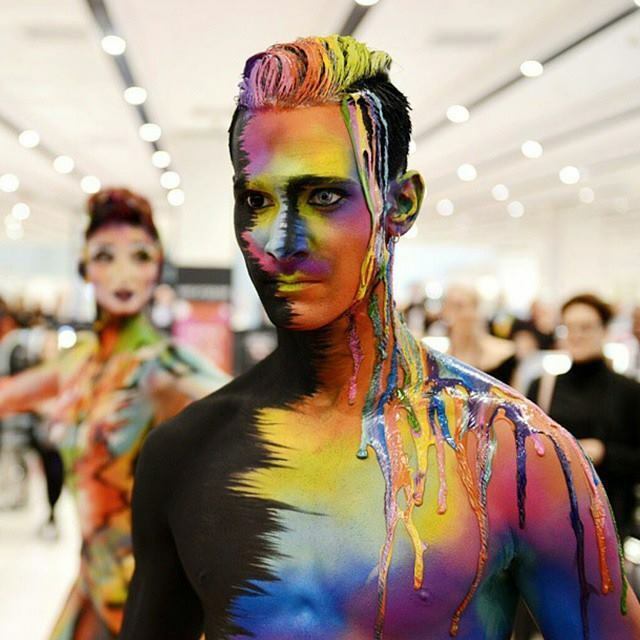 With an event as eclectic and inventive as this one, it should come as no surprise that the Australian Body Art Carnival has a history as interesting as the art that it produces. Eumundi was introduced to the world of body art by local body painter, Ria Clauss, after she made the voyage to the 2007 World Body Art Festival in Austria. The idea blossomed in the creative Eumundi community, and over the years the festival has been nurtured by hundreds of passionate volunteers and grown into Australia’s premier body art event. 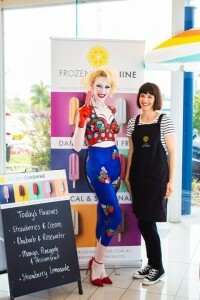 The Eumundi and District Historical Association (EHA) ran the first few Body Art Carnivale’s in Eumundi, before it was transferred over to Eumundi’s Chamber of Commerce in late 2010. 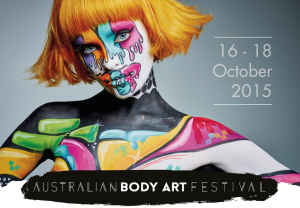 For the 2015 event, the OEM has taken the reigns, ushering in the all new Australian Body Art Festival. This event is sure to have some amazing works of art literally walking around amongst its visitors and viewers. As a lover of art, creativity and this festival I promise a weekend that will have something to shock, amaze and maybe even inspire you, or at the very least offer something new to entertain you. Make you way down from 17th to 18th October and be a part of something special. For more information visit the Australian Body Art site.